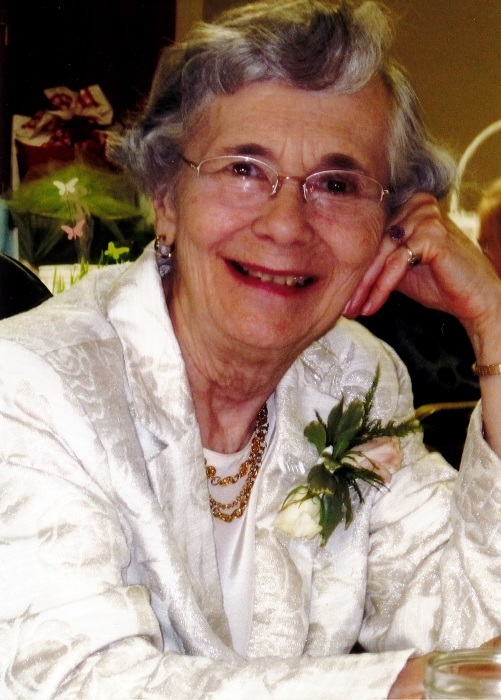 Phyllis A. Overmier, age 91, of Upper Sandusky, Ohio, passed away on Saturday, November 17, 2018 at 4:41pm at the Fairhaven Community, Upper Sandusky. She was born on September 13, 1927 in Pitt Township, Wyandot County, to Paul and A. Faye (Lemler) Kuenzli. Phyllis is survived by 3 grandchildren: Kristy (Dave) Ross of Upper Sandusky, Brian (Erika) McCallister of Hilliard, Ohio, and David (Ashlee Sims) McCallister of Kent, Ohio, along with 5 great grandchildren: Brady and Audrey Ross, Cora, Wesley and Leland McCallister. She is also survived by a brother: David (Gwen) Kuenzli of Rawson, Ohio, 2 sisters: Mary Lou (Harold) Kinner of Monroe, Michigan and Kathleen Meisner of Naperville, Illinois, and a son in law, John McCallister of Upper Sandusky. She was preceded in death by her parents and a daughter, Debra McCallister. Phyllis was a 1945 graduate of Upper Sandusky High School and of North Central College in Naperville, Illinois. She taught in the public schools of Illinois and Ohio. She was a long time member of the John Stewart United Methodist Church in Upper Sandusky, where she sang in the choir and was a member of the Myrta Moody Circle of the church. She also belonged to the Wyandot Tracers Geneology Society and the Beta Chapter of the Tri Sigma Sorority. For hobbies, she enjoyed cooking, sewing, collecting antiques, and doing geneology. A memorial service for Phyllis Overmier will be held at 11:00am, Saturday, December 1, 2018 at the Lucas-Batton Funeral Home in Upper Sandusky with the Rev. Brian Arnold officiating. Visitations will be held 1 hour before service time on Saturday at the Lucas-Batton Funeral Home in Upper Sandusky. Memorial contributions may be made to John Stewart U.M.C. or Hospice of Wyandot County, and can be sent to Lucas-Batton, 476 S. Sandusky Ave. Upper Sandusky, Ohio 43351.